MUNYONYO – President Yoweri Museveni has blamed his predecessors Dr. Milton Obote and Idi Amin Dada for the poverty that continues to eat up Uganda to its bone. Mr. Museveni was opening the two-day Africa Now summit at The Commonwealth Resort and Conference Centre, Munyonyo, Kampala where he slammed the post-independence military governments for engaging in primitive fascism and retarding Africa’s growth and the expulsion of Asians by Idi Amini saying it was a mistake that took Ugandans back. “… In Uganda, both Obote and Amin interfered with the private sector with Nakivubo announcements of 1970 and Amin’s expulsion of the Asians in 1972. It is the NRM that firmly rejected this mistake by returning the properties of the Asians and liberalizing the economy. These sectors we liberalized by removing the role of the State companies have performed miracles. We sold government buses and hotels, for instance,” he noted. 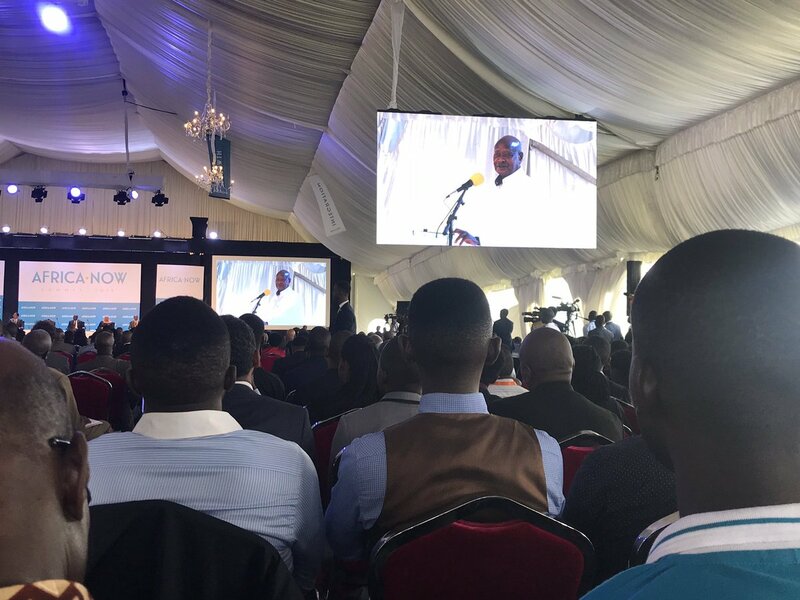 While delivering a paper on the type of leadership needed to catalyse Africa’s transformation, Mr. Museveni also revealed that Ugandans have built more than 1 million properties in Kampala and Entebbe after being chased from Indian houses. “I told them, return the property of Indians. And when we were doing that, the whole Parliament was full of people sleeping in Indian houses. I nearly developed throat cancer trying to convince these people to leave Indian houses. Now they have built more, Kampala and Entebbe are now one town built by Africans because Indian houses were ‘Ekisilani’ that conceptual confusion is very dangerous” he added. Museveni also said that the problem with Africa has been that in the last 600years, the African Society has not metamorphosed. 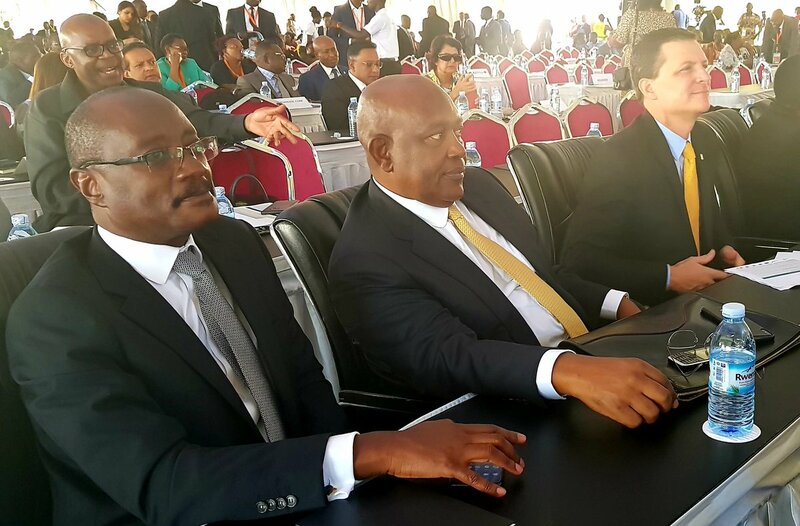 The two-day event is co-chaired by President Museveni alongside other Heads of States and key business leaders on the continent. The President of Somalia Mohamed Abdullahi Mohamed Farmajo, Deputy Presidents of Kenya; William Ruto, Tanzania’ Samia Hassan Suluhu and a representative of the President of Egypt are present. MTN group president and CEO Rob Shuter is in attendance as a key speaker at a high-level panel discussion on ‘The Leadership Needed to Catalyse Africa’s Transformation. The conference aims to harness the interminable energy of the African youth in forging a secure, integrated and growing Africa. Mr. Museveni commended the organizers for the “thoughtful” idea of starting a Pan-African think tank. He noted that its investment in research that has enabled Western societies to generate knowledge to sustainably solve their challenges. Dr. Robert Mwesigwa Rukaari, the ASLC Chairman Board of Directors said “this is a private led think tank. “Our main theme for this summit is; a secure, integrated and growing Africa. We have picked topics of discussion from this theme and these will be discussed during this 2-day summit,” he noted in opening remarks. Others include African top CEOs, professors, researchers, politicians, diplomats, journalists, activists, and key leaders to engage in an interactive debate and find solutions to the challenges affecting Africa’s political and economic relations.